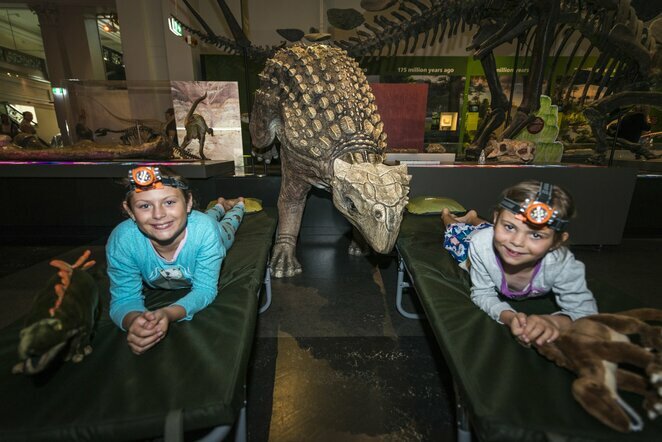 Don't miss one of Sydney's favourite school holidays program, with drop-in events, science workshops, behind-the-scenes tours, craft activities, a museum sleepover and even yoga among the animals. Bookings are now open! 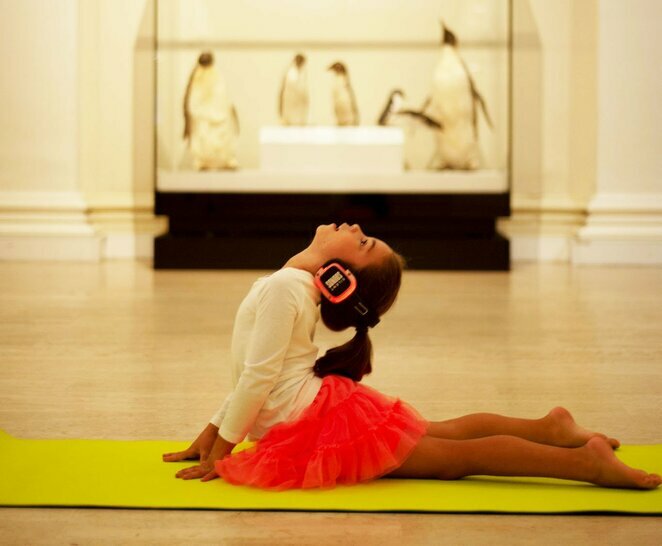 Led by yoga teacher and Play School presenter Rachael Coopes, Wild Yoga is set in the stunning 'Wild Planet' exhibition at the Australian Museum. Beneath a 17m whale skeleton and surrounded by 400 other animals, including lions and tigers and bears, children will enjoy a series of animal-inspired movements and stories. As part of the experience, children will wear wireless headsets, that tune out everything but music, live audio cues and stories shared by the instructor. No yoga experience required. 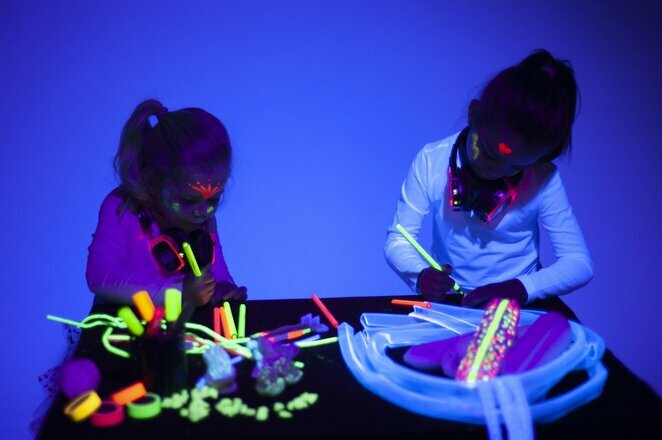 Dive into the coolest underwater party where children and accompanying adults craft bioluminescent sea creatures and rock out at the silent disco. You can also head over to the Mini-Makers space to create sea creatures, such as anglerfish and comb jellies, using fluorescent markers and phosphorescent craft materials that glow under UV black lights. This school holiday program is in support of the current special exhibition 'Whales | Tohorā'. 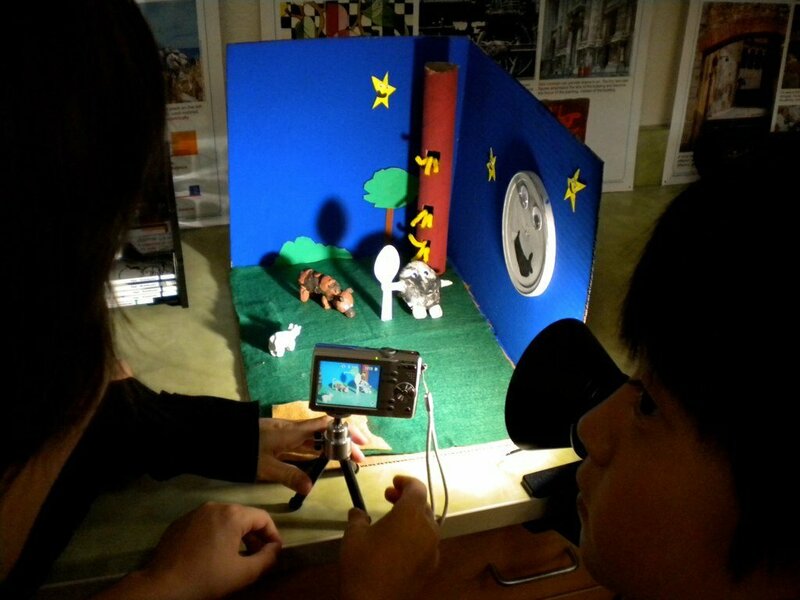 Fun-filled full-day workshops presented by Digi Ed, where children write, shoot and edit a short claymation movie using a mix of natural resources, recycled materials, including marine debris, in addition to clay. All materials will be provided and each participant will receive a DVD of their finished product. Australian Museum is a very different place after dark! Enjoy a buffet dinner and get up close to native Australian animals such as crocodiles, pythons and lizards before coming face-to-face with Winny, the resident Muttaburrasaurus – an Australian dinosaur which lived around 100 million years ago. Then embark on a torchlight tour to discover secrets and stories of the Museum collection before relaxing in the theatre to watch a family favourite film. When it's time for bed, snuggle up at the feet of a Stegosaurus or Tyrannosaurus rex. In the morning, wake to a continental breakfast at the rooftop cafe followed by an exclusive viewing of the current special exhibition.